There have been a few cases requesting variance or special exception from the Board of Zoning Adjustment in the past few months. Here is an update on two recent cases that completed their BZA approval process. This request was to construct a second story on an existing carriage house in the alley between Morse and Florida Ave NE. The special exceptions were unanimously approved by BZA. The request for height variance was dropped. Originally they asked for variance to build at 53 feet, 3 feet above the by right 50 feet. Instead of a higher ceiling commercial space, the developer may utilize the space for residential units if they cannot find a retailer that will rent a space with 10-foot ceilings. The fifth floor was set back 24.2 feet so that the height is not as visible and out of character with the neighboring town houses. Rear yard relief requested was reduced by 50%. The Floor to Area Ratio (FAR) requested was also reduced from 3.6% to 3.4%. The BZA meeting on July 14th voted to approve the case. There were 3 votes in favor and one against relief requested. 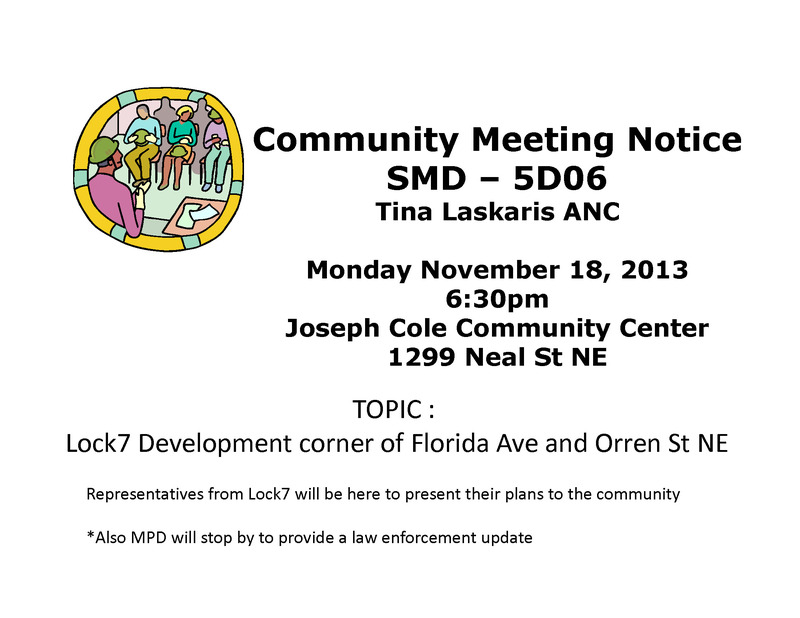 Controversial Florida Ave Development Project before BZA Tomorrow! 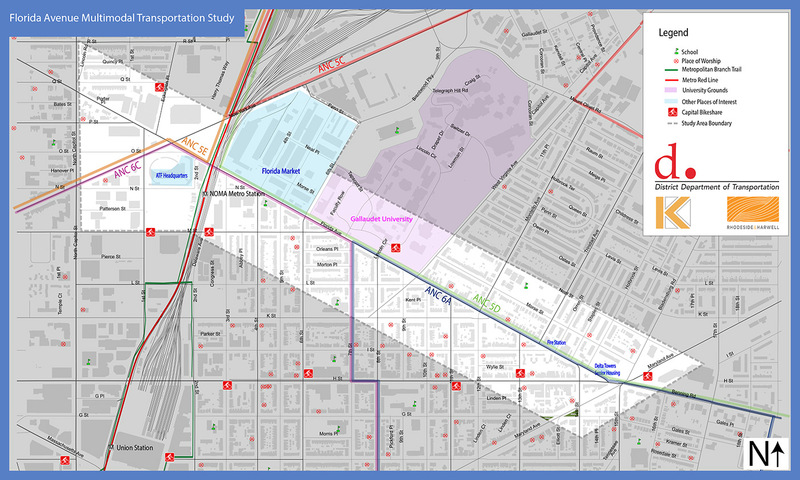 Pierce Investments, LLC (1124 Florida Ave NE) to Appear Before the Board of Zoning Adjustment on Tuesday, June 9th at 9:30 am in Suite 220 South of 441 4th Street NW. There have been at least two ANC Single Member District Meetings regarding this development. Those have been contentious and not addressed all issues/questions raised by community members. Pierce Investments, LLC is scheduled to appear before the full ANC on June 9th at 7:00 pm, after their BZA hearing. Case Summary : (Area Variance) Request pursuant to 11 DCMR § 3103.2, for variances from the height requirements under § 770, the floor area ratio requirements under § 771, the rear yard requirements under § 774, and the residential loading requirements under § 2201, to allow the construction of a five-story multi-family building containing 52 units in the C-2-A District at premises 1124 Florida Avenue N.E. (Square 4070, Lot 808). Pierce Investments has submitted a Pre-hearing letter with additional information and design changes. While they have reduced the number of dwelling units from 52 to 44, they maintain need for a variance in height requirements and rear yard set back. Please refer to the attached Prehearing Statement. BZA Case number 18987 was postponed until June 9, 2015. The reason for the postponement was to work with the community and the ANC. The developer was originally seeking variances from height requirements, the floor area ratio requirements, the rear yard requirements, and residential loading requirements to allow construction of a five-story multi-family building containing 52 units in the C-2-A District premises at 1124 Florida Avenue NE. In a subsequent meeting with the ANC Single Member District, the developer reduced the number of units to remove the residential loading requirement. They were still seeking height and other variances. 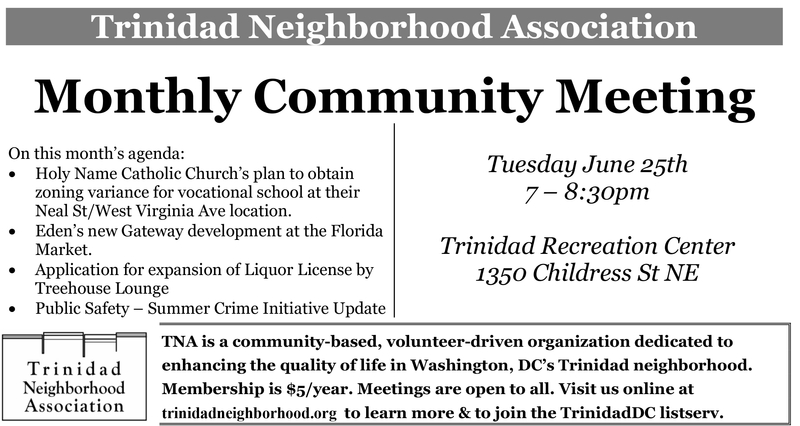 As meetings are scheduled, TNA will post notices so that community members can be aware of the variances requested. To date few community members have submitted letters with views in opposition or support of the project. Read our original post on the case.